I am going to admit I was a little intimidated to try out a Shampoo and Conditioner BAR. As much as I love soap, this is one version I had not used. Initially I thought that using a Shampoo bar would be too much work, but I am surprised that is not the case at all. 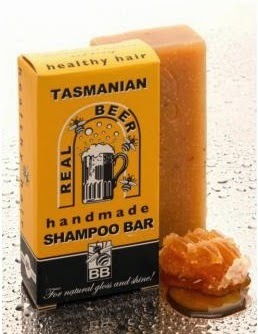 It is pretty simple to use the Tasmanian Beer Shampoo Bar from Beauty and the Bees. You simply wet your hair with warm water and rub the bar directly over you hair! I am surprised that the bar lathers as well as it does and leaves my hair very clean feeling! I did not have dandruff to start, but its been said this bar works very well at getting rid of dandruff! I also got to try the super concentrated real beer conditioning bar. With this bar you just wash you hair like normal, leave it wet and lather the bar between your hands. Then rub this into you hair! This bar is 100% natural and super concentrated so it can last up to 130 uses if you have short hair. It is unscented for those with sensitive skin. It works really well and my hair very easily brushes out when I get out of the shower! This is my usual indicator if a conditioner works well! Using both products together works very well and leaves my hair clean and feeling nice! My hair also seems to have a little added bounce and shine! Win It: One lucky winner will receive both products from Beauty and the Bees. I want to try the Honey and Coconut cream. I visited Beauty and the bees and found the West Indian Lemon Lime & Avocado with Tasmanian Leatherwood Honey and Beeswax From Australia that I would love to try. Wow, so many great products. I would love to try many things. However, I would start with the Real Beer Hair Conditioner Bar from Tasmania Australia. I really like the idea of hair conditioner in bar form. So cool. I would also like to try the Liquid Velvet Olive Squalane 100% Natural Moisture Serum Boost . The Oatmeal & Cucumber Scrub Soap looks interesting. They have several things that sound really nice. I want to try the Real Beer Shampoo Bar. These products sound so interesting. I would love to try there shampoo and conditioner though ! Actually I would love to try every single one of there products ! Tasmania Australia products )conditioner) is something I would like to try. I would love to have my BIL try the Professor Fuzzworthy Beard Care Gloss with Leatherwood Beeswax! I would love to try the Honey & Coconut Marigold facial moisturizer! I would love to try the Dead Sea Mud Soap. I would love to try the Leatherwood Honey & Coconut Protective Moisture Cream. 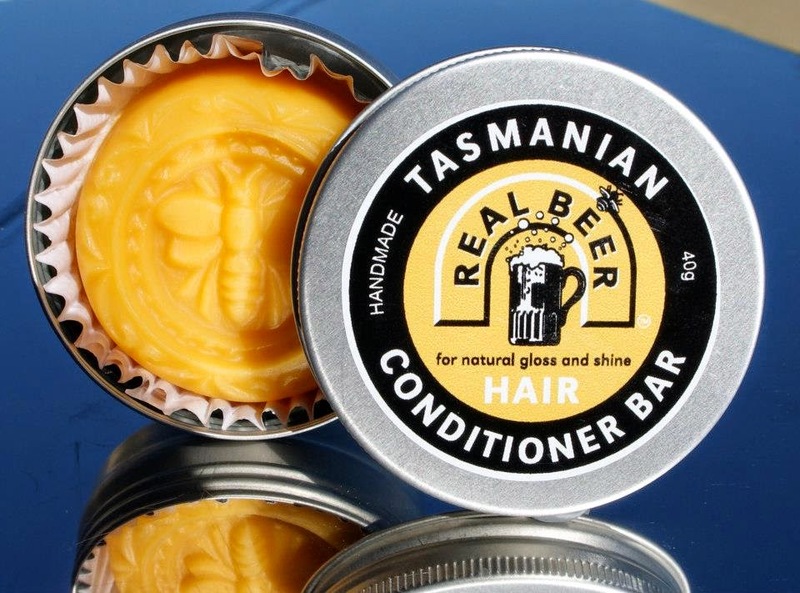 I would like to try the Real Beer Hair Conditioner Bar from Tasmania Australia -- sounds interesting! The dead sea mud soap would be nice. the Oatmeal & Cucumber Scrub Soap looks really nice. I'd like to try the Oatmeal & Cucumber scrub soap. I love oatmeal soaps! Tasmanian Seaweed Honey & Herb Polishing Scrub 100% Natural All Skin Types From Australia. I would like to try the Oatmeal & Cucumber Scrub Soap with Leatherwoood Honey and Beeswax. I'd like to try the Leatherwood Honey & Coconut Protective Moisture Cream 100% Natural No Preservatives Tasmania Australia 4 Oz. I would love to try the Leatherwood Honey & Coconut Protective Moisture Cream. It looks amazing. I would like to try the Leatherwood Honey & Coconut Protective Moisture Cream. I would like to try the Tasmanian Seaweed Honey & Herb Polishing Scrub 100% Natural All Skin Types From Australia.